It's summer in New York so last week I did what most New Yorkers do and headed out to Montauk for some beach time with friends. 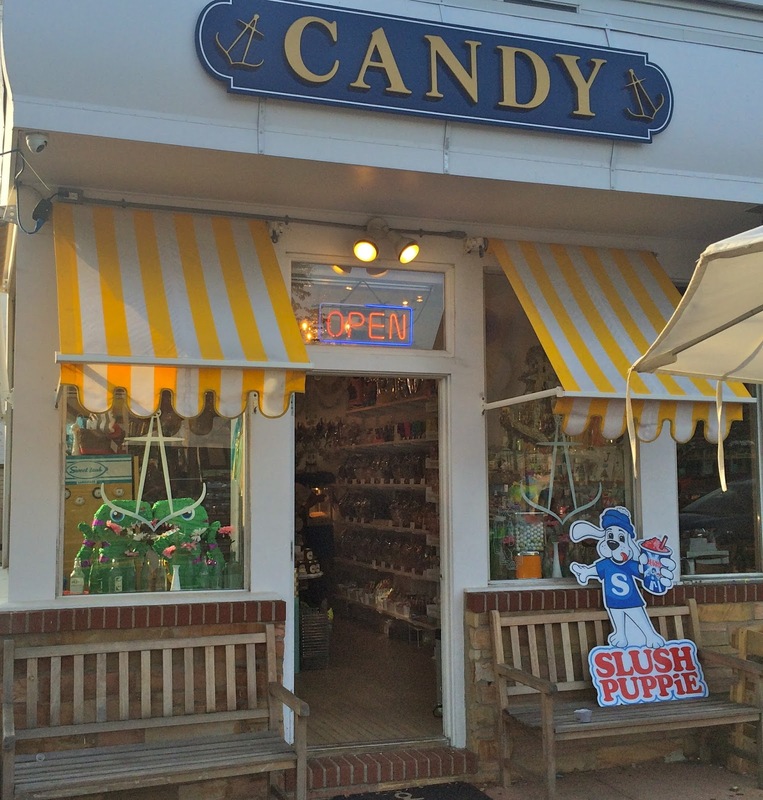 One evening after dinner we happened upon an adorable candy store called THE CANDIED ANCHOR on Main Street (www.candiedanchor.com). 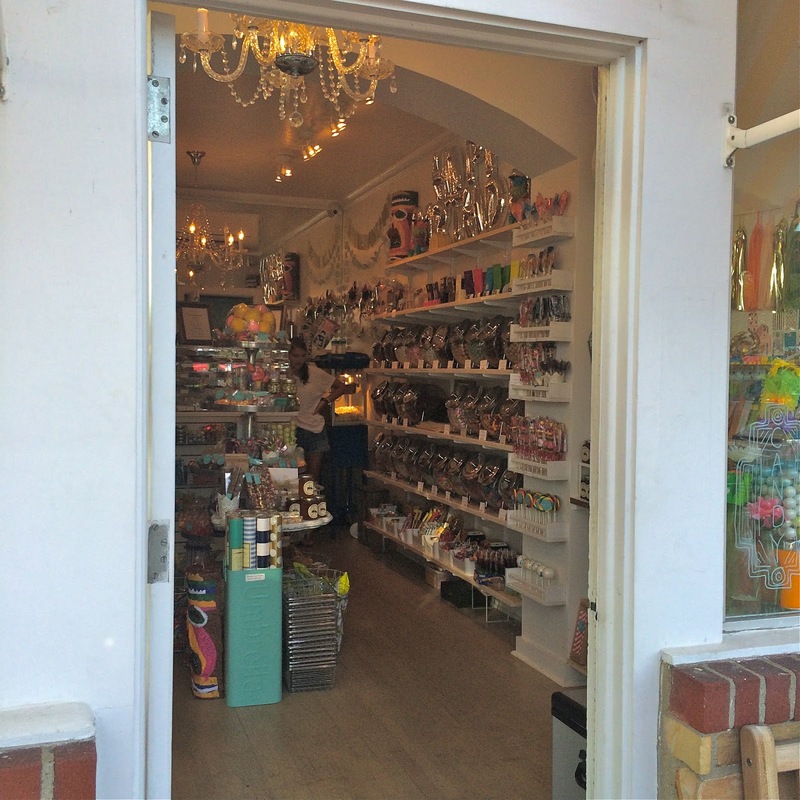 It's the kind of store that catches your eye because it looks just like a candy store should look: whimsical, inviting and fun. The two young women working the store couldn't have been sweeter and patiently answered all of our questions ("what's this? Oooo what's this?!") Inside they had some cute displays of candy that resembles food like raspberries in a berry basket and "olives" in a jar. These would make great hostess gifts or party favors for a summer BBQ. 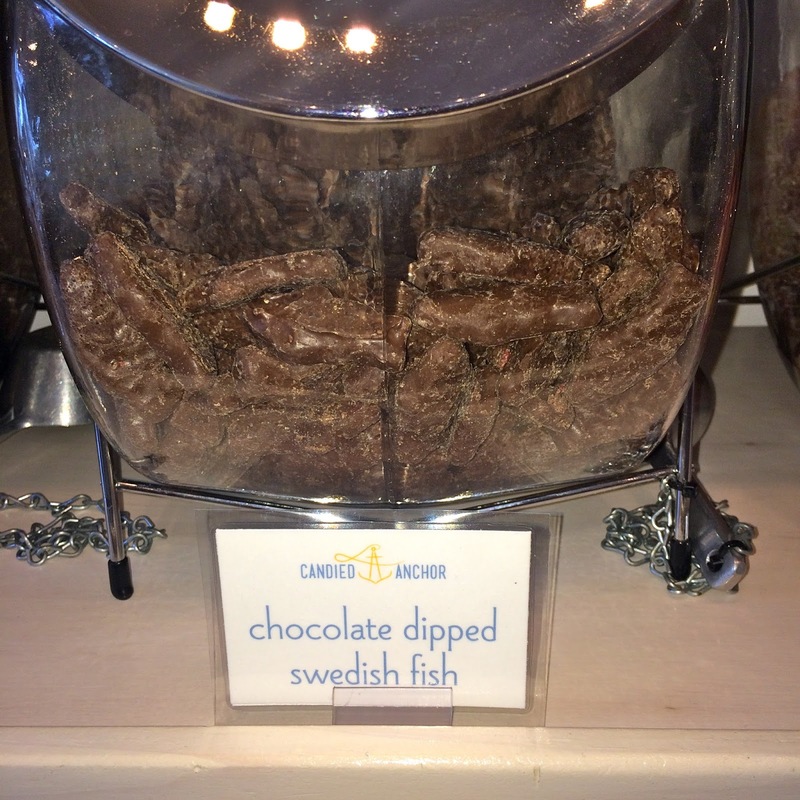 One of the more unique items in the store were their chocolate covered swedish fish. 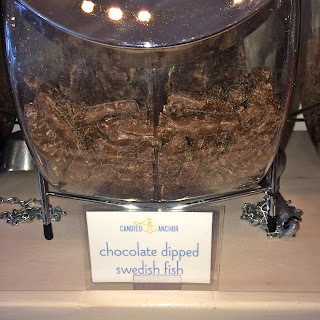 I'm not a fan of chocolate covered gummy bears and swedish fish are my favorite non-chocolate candy so I didn't think I would like this marriage of my beloved Swedish fish and chocolate. At the recommendation/persuasion of my friend I bought a few to try. They exceeded my expectations. 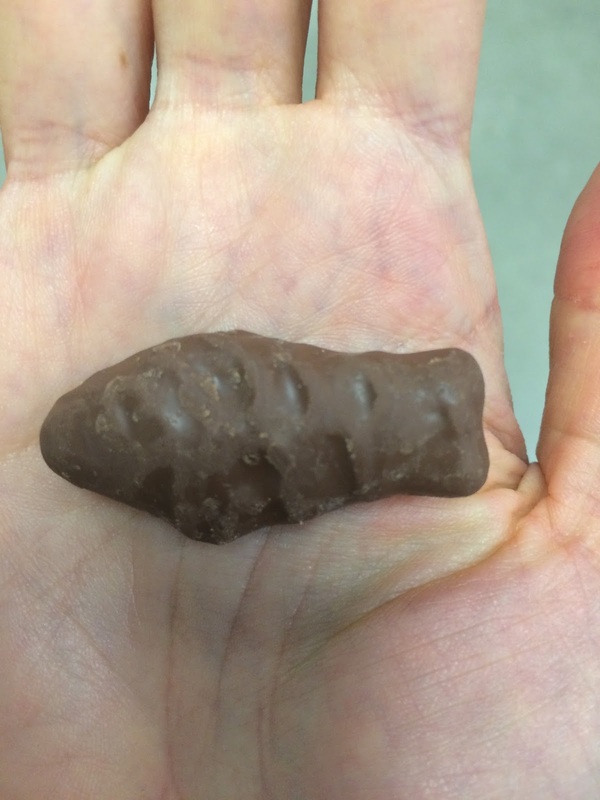 They were the larger red fish and therefore had that great chewy texture and cherry flavor but with a little addition of chocolate; more flavorful than chocolate covered gummy bears and better texture too. 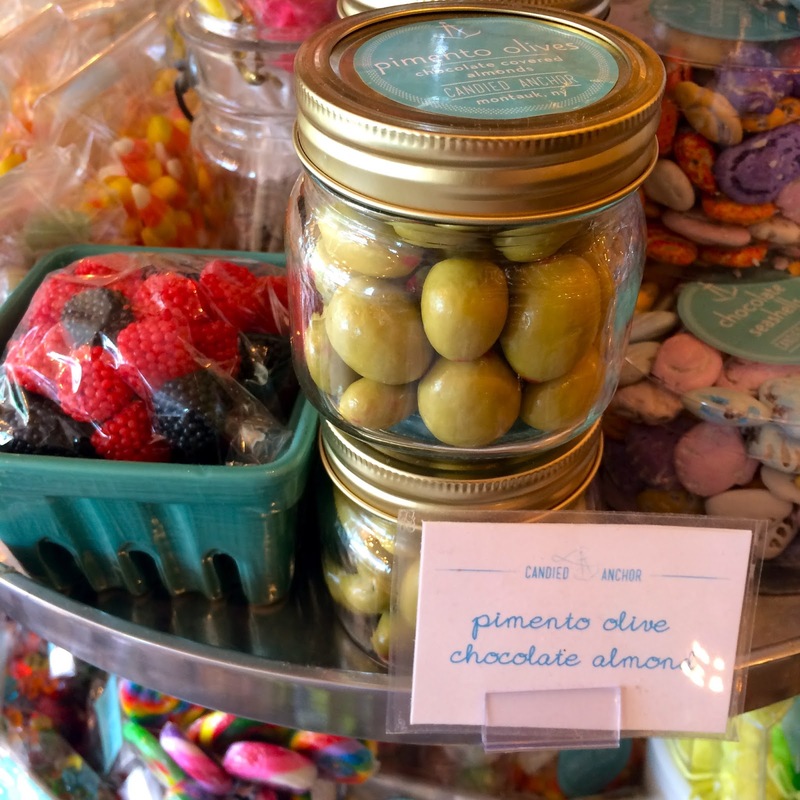 These are a great gift for someone who loves Swedish fish. If you're in Montauk, I recommend an evening stop at The Candied Anchor.